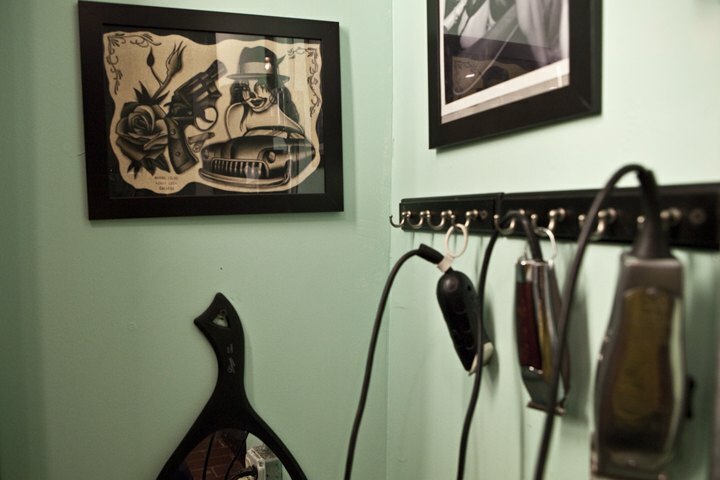 Just when I thought the Barbershop was going the way of the Dodo, one opens up in Bushwick. The Stepping Razor, located off the Morgan L stop on Flushing Ave, has opened its doors to the public, which means all you unkempt Bushwick dudes have no excuses left! We chatted with Danny Baptista, the man behind the endeavour, about the state of hipster facial hair and correlation between a haircut and manliness. We found out that there’s more to a haircut than just a pair of scissors. 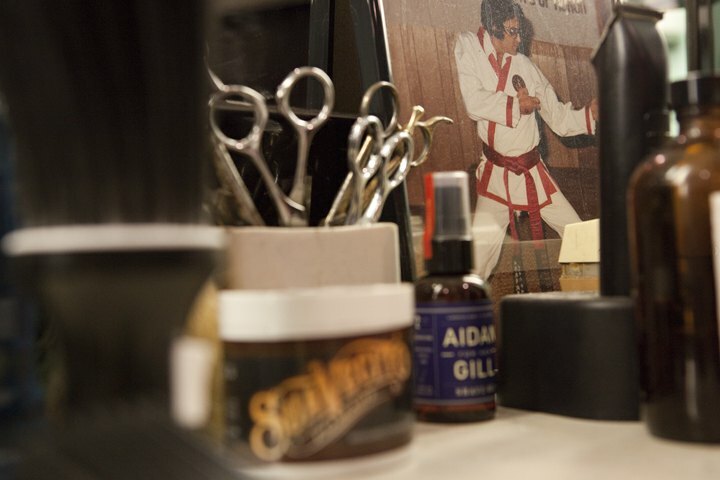 "A barbershop is the ultimate men’s social club and we should not allow that tradition to die. It’s not a trend; it is part of being a man," says Danny Baptista. I just thumbed through your copy of the Art of Manliness. What are your thoughts on manliness and the art of upkeep? A well-groomed man, who looks his best, is ready to take on any situation. Pride in one’s presentation is important. I believe there is a correlation between a haircut and manliness. 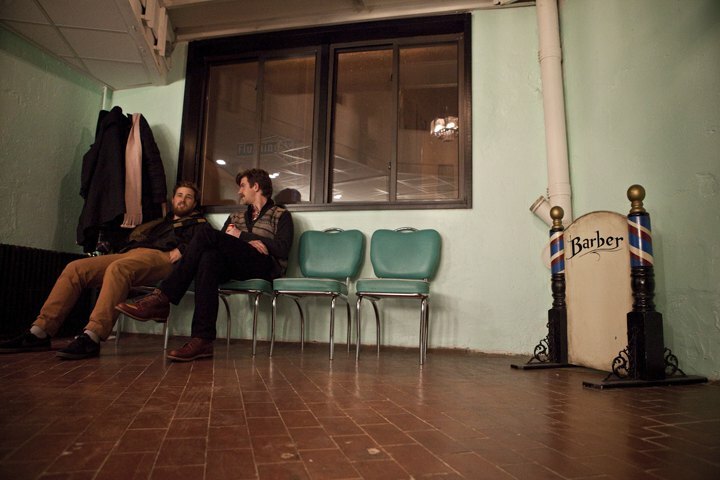 Men should go to barbershops as their grandfathers did, not unisex shops or salons. 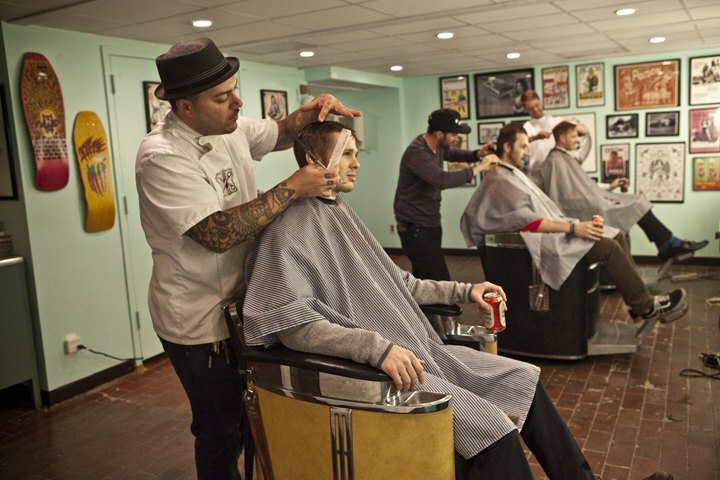 A barbershop is the ultimate men’s social club and we should not allow that tradition to die. It’s not a trend; it is part of being a man. You go, and you take your son, and then years later, he does the same. It is part of manly culture and tradition. I can see this is a passion for you. How long have you been doing this and where did you learn your trade? There are a lot of barbers and hairdressers in my family. My grandfather cut hair in the Cape Verde Islands. As a kid growing up I cut hair for my friends and family. 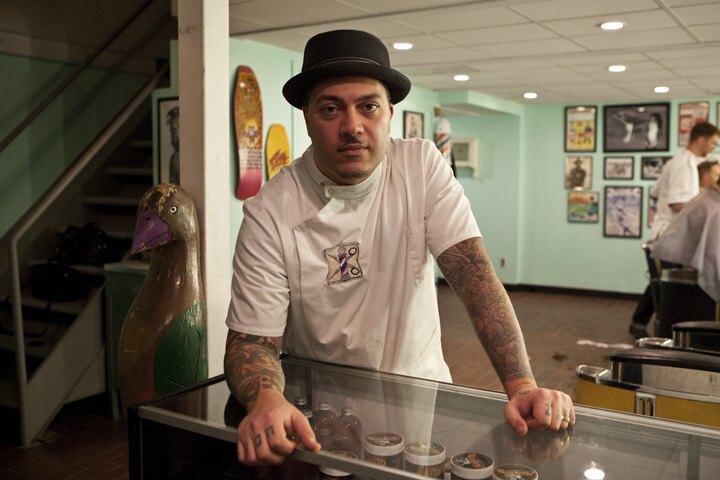 I owned a barbershop inside my skate shop in the '90s. I finally got my NY master barber’s licence and started practicing legally eight years ago. And how long have you been in this location on Flushing Ave? We opened here on the 1st of November last year. I was in the back room inside Post Bikes for three years before that. Flushing Ave has got to mean some good foot traffic. Do you get many walk-ins? We certainly do get walk-ins but, to be honest, we prefer appointments. But if someone drops in off the street we do our best to accommodate him. You sure do. Those beers all the boys here are drinking, is that all part of the service? Yes. If they’re thirsty! We offer all our clients cold Tecate or Modello, as part of the deal. The shop looks great. Where did you get all the retro furnishings that give the place so much character? Originally I got the first two Koken President chairs from an old man in Connecticut who was closing up shop. Since the new space was bigger, I expanded to a three-chair shop and the hunt began for a third matching chair. I was emailing people from Internet ads that were literally five years old in the hope they would still have the chair. The '80s skateboard decks and framed tattoo flash are all mine that I’ve acquired over time. The station cabinets came in from a wholesaler in Wisconsin; they came from a 1940s hospital originally. Well, the shop has plenty of style. I can see a lot of your influences on the walls. Who would you say is your style icon? Elvis Presley had fantastic hair. But that’s too easy. I would say Robert Deniro’s charcter Sam Rothstein in Casino had it down. Cab Calloway also had great hair and style. What’s the status of the beard at the moment? Hipsters weren’t afraid to bring back the beard, but is it still as big as ever? Let’s talk Bushwick for a moment. Where do you head for a couple of beers after work? I like Clem’s or Lone Wolf. But I drink rum and the problem is I tend to have more rum at home than any bar in Brooklyn.